How much is a principle worth? Last week it was £40,000; this week, it’s gone up to £80,000 – and I’m not going to argue with either of those valuations. It is immensely cheering to see Brixton Cycles reach its original crowdfunding goal in less than seven days, and I wouldn’t bet against them hitting their new target. That quasi-mythical entity called “the market” may have decided that an already-gentrified area of south London should have even more luxury flats, but the real market – us lot, the people who spend thousands of pounds on our hobby over a lifetime – place more value on relocating a long-established cycling business before the diggers loom over their present home. None of this altruism should be surprising. Despite all the internal divisions and snobbery, cyclists are inclined to look out for each other – rarely I have punctured and not had at least one passing rider ask if I needed help. 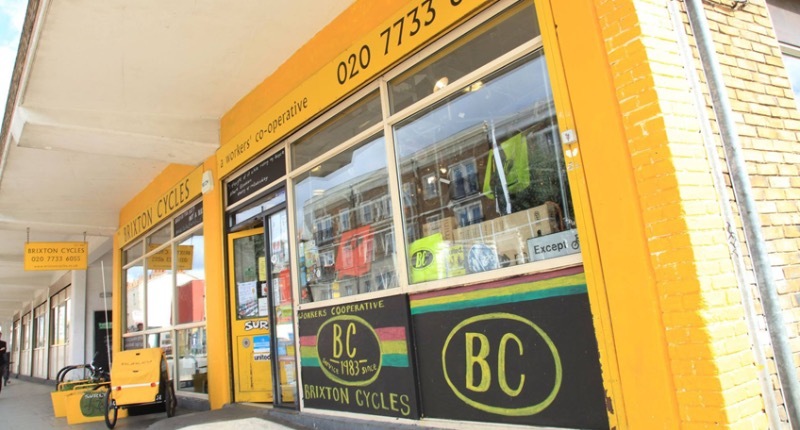 What is notable in Brixton Cycles’ case, though, is the rate at which donors have rushed to their aid: to put it into some kind of context, the infamous Kimmage Defence Fund, (which, although ultimately mismanaged, nevertheless involved some far more well-known names on both sides of the mooted libel case it was set up to fight) took less than 40 per cent of the repair shop’s seven-day total over the same period. Perhaps that reflects how much more popular crowdfunding has become since fans tried to come to Paul Kimmage’s aid three years ago. These days, though, cycling-related crowdfunded campaigns usually involve backing an idea that will be turned into physical goods, so in that sense Brixton Cycles is swimming against the tide. They are asking you to pay for an ideal, not a product. Somewhat tangentially, I thought about the role of crowdfunding shortly after I stumbled across Martin Porter’s observations on private prosecutions which were part of his contribution to the Commons Transport Select Committee on Road Traffic Law Enforcement. Essentially, he sets out how difficult it is for cyclists to bring private prosecutions in relation to an incident on the road, and Martin believes a change in the law is required to bring down the barriers currently in place. You can read Martin’s evidence and decide for yourself. What struck me about it, though, is that crowdfunding could be an effective way to mount a campaign for an issue such as this. Too often, it seems that cycling advocacy groups aim for broad targets that the majority of us would want – better infrastructure, fewer motor vehicles on the road, stiffer sentences for poor driving – rather than focussing on specifics or what may be achievable. Another issue, for me, is that many club cyclists and serious recreational riders aren’t members of the CTC, LCC or similar groups. Maybe the way forward would be to pick just one goal, set out a strategy, and ask all of us for money to fund the campaign. But that’s a thought for the future. In the meantime, you can contribute to Brixton Cycles’ campaign here.